If you’ve never been to the Los Angeles Bacon Festival, you’re in for a treat. To be more accurate, you’re in for a variety of bacon-flavored treats, both sweet and savory. 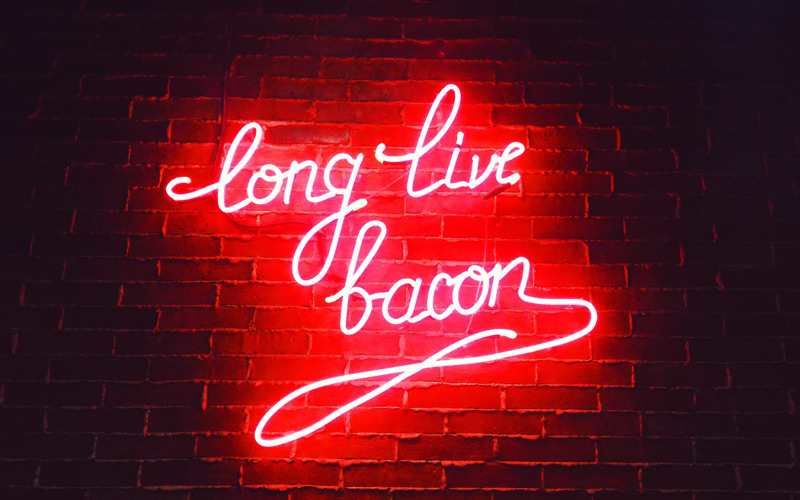 The fifth annual event, happening Saturday, July 22, at LA Center Studios (450 S. Bixel St.) pays homage to all things bacon. Examples include Baldoria’s braised bacon arancini, Republic Craft Barbecue’s bacon burnt ends, and Wood & Vine’s bacon ice cream. In addition to the food, there will be about 60 beers on tap, as well as nonalcoholic options such as lemonade, water, and Bai drinks. The Power 106 truck will give your bacon consumption a hip-hop soundtrack, and a custom photo booth will make it easy to remember this delicious day forever. Proving that bacon is bigger than breakfast and that no conventional time constraint can contain it, the festival doesn’t start until noon. Access to the bacon-flavored wonderland is available from either noon-3, or 4- 7. Tickets ($60) are expected to sell out in advance. The event is 21 and over, and no children or infants will be admitted. Free Ice Cream at McConnell’s, Big Bite Bacon Fest, and More!